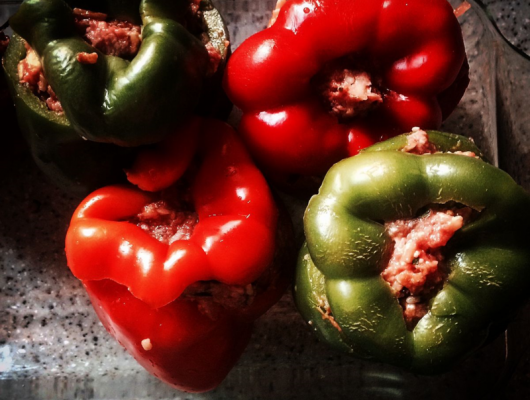 Mix ingredients rice, onion, garlic, spice and ingredients for meat filled or vegetable lovers peppers. Slice tops off the peppers and clean seeds from the inside. Stuff with rice and meat or lentil mixture. Line a baking pan or cookie sheet with parchment. Place in an oven heated to 350f. Your can also place on a grill heated to that temp. Take off the heat and cover with foil for 15 - 30 minutes before eating. 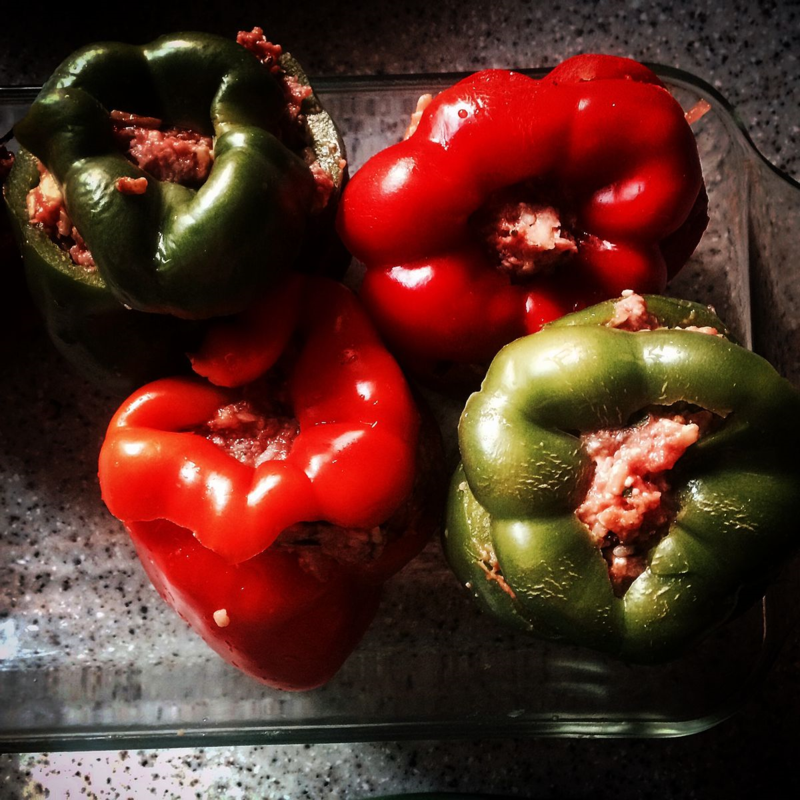 Stuffed Peppers are a simple and satisfying meal. If you have the time make a bigger batch and freeze a portion for future use.